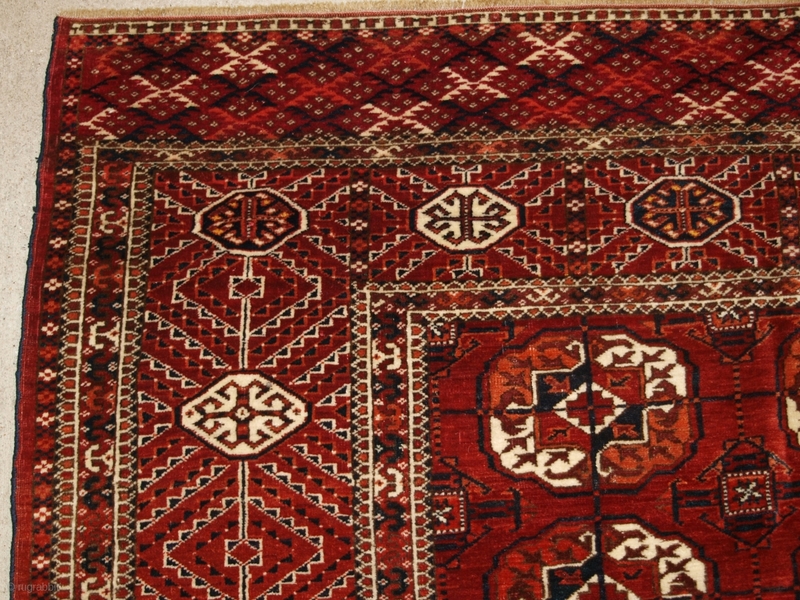 Antique Tekke Turkmen main carpet with 5 rows of 12 guls. www.knightsantiques.co.uk Size: 9ft 9in x 7ft 8in (298 x 234cm). 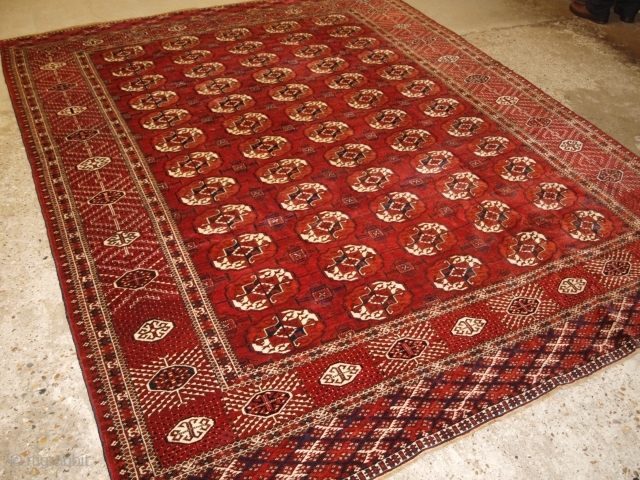 Circa 1880. a good Tekke main carpet of room size, the clear madder red field has well drawn large Tekke guls. The border is of the sunburst design. Note the very decorative piled elem panels at each end. The carpet is in good condition with slight even wear with good pile. Both ends retain the original large elem panel end finishes. 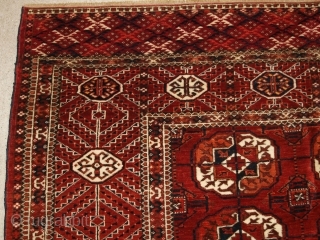 The carpet is suitable for normal domestic use. The carpet has been hand washed and is ready for use. Stock Number: r-1786.